If your kitchen is a bit on the cosy side, you’ll know that the two most annoying things about a small kitchen is that you often don’t have a lot of counter space to work with when it comes to food prep, and the cupboard space is very limited. If you’re looking for some ingenious storage solutions suitable for all price points, here are a three space-saving hacks to get you on your first step to kitchen harmony. A great way to free up storage and worktop space is by finding new and unusual spots to store your various kitchen accessories (which can often be awkwardly shaped and difficult to store). A magnetic knife rack is the perfect alternative to keeping a bulky knife block on your counter top. It makes good use of the splash backs in your kitchen and looks like a slick design choice. Also, think about installing vertical peg boards to hang your pots, pans and utensils up – they look great and don’t cost a fortune. In fact, you could even DIY one! Make the most of the space under your sink by keeping the kitchen bin in there. That way, you’re keeping an eyesore out of sight too! Stick hooks inside your cabinet doors to hang utensils, tea towels and oven gloves. Invest in shelf risers. Rather than precariously stacking up your plates, bowls and mugs, risers create an extra shelf in your cupboard, so you can safely store your crockery higher. Look into furniture solutions that help you make the most of a small space; good storage is vital for keeping small rooms from looking messy. If you can fit one in, a sideboard is the perfect all-rounder as it gives you loads of cupboard and drawer space, and some even have a built-in wine rack! We love the sideboards from The Cotswold Company as they’re compact, stylish and come in the most beautiful colours. Another clever storage solution is a slim trolley that can slot into those narrow spaces that you’d written off as useless. As well as being super affordable, these trolleys are the ideal spot for tucking away things like condiments/sauces, spices, carrier bags or cleaning products. 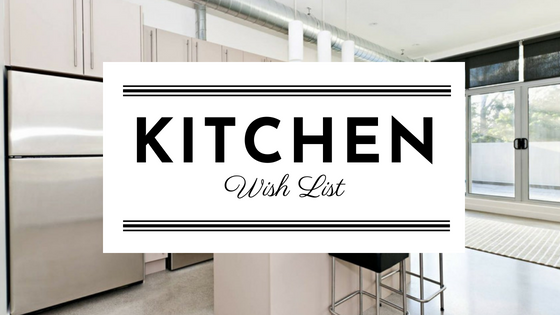 Forget about all your small kitchen woes! Free up counter tops and make the most of your cupboard space by taking advantage of these three clever storage hacks. They keep your kitchen looking stylish and there’s something for everyone, regardless of what your budget is.